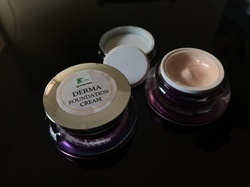 Leading Manufacturer of derma foundation cream, derma green plus herbal skin whitening cream, derma glutarbutin glutathione skin whitening cream, derma green herbal skin whitening cream, radiance pearl glow cream herbal india cream and derma sunshine herbal skin whitening morning cream from Bengaluru. 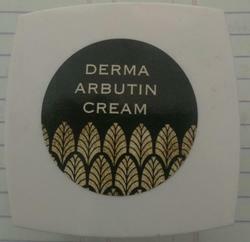 Arbutin - derived from bearberry leaves. Inhibits melanin synthesis, thereby lightening dark spots. Vitamin C - antioxidant that evens skin tone and helps build collagen. We use Magnesium Ascorbyl Phosphate, which is less irritating than L-Ascorbic Acid and does not decay as rapidly. Hyaluronic - one of the most powerful hydrating and moisturizing ingredients on the market today. Used to transport the lightening ingredients into the skin and moisturize. As an acclaimed company, we are engaged in offering to our valuable clients with an extensive range of Skin Whitening Cream which resurfaces scars marks spots & whitens dull dark skin. 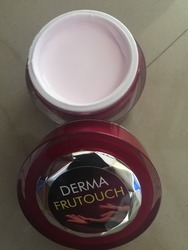 The offered skin whitening cream is precisely processed using high quality ingredients and leading processing techniques in observance with set norms. 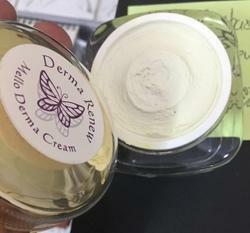 This skin whitening cream is tested from our side in order to ensure its precise composition. We have been instrumental in the offering a premium quality Pearl Glow Cream. This pearl glow cream comes in a pack of two different jars of morning and night creams of 15 gm each. Our given pearl glow cream is processed using supreme quality ingredients and sophisticated processing techniques as per the set standard. This pearl glow cream is known in the market for its effective usage. Keep tan, sunburn, pimples, acne breakouts, blemishes, scars, melasma, under eye dark circles, pigmentation problems at bay. 7 properties to the skin . 1-Regeneration skin and whiten skin. 2-Accelerates skin movement. And stimulate new skin cells to replace. 3-Prevent and smooth wrinkles and fine lines, replenish and nourish, slow down the aging process. Firming and lifting the skin. 4-Reduce acne scars and dark spots on the face. 5-Helps reduce allergies. Swelling and inflammation. 7-Protect the skin from the environment with this deeply hydrating moisturizer. This cream is formulated to whiten hydrate the skin, reverse signs of aging, maintain skin suppleness and reduce wrinkles. It nourishes your skin to let its natural beauty shine through! It also removes the appearance of skin blemishes and begins whitening your skin in just one week! A powerful herbal based formula created from with the finest of Mulberry Bearberry Saffron from Himalayas. Kakdu Plum Liquorice lightens and brightens uneven skin, reduce dark circles and pigmentation marks while also repairing fine lines, age spots and other signs of aging. A perfect leave-in night treatment for brightful and naturally radiant skin. 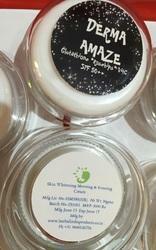 Looking for Herbal Skin Whitening Creams ?